Avanti PRO Diamond Blades are the perfect choice for DIY users that need a blade that is made to last. The segmented diamond blade is great for fast and aggressive cutting of concrete, brick, block, stone, and stucco. For use with angle grinders. 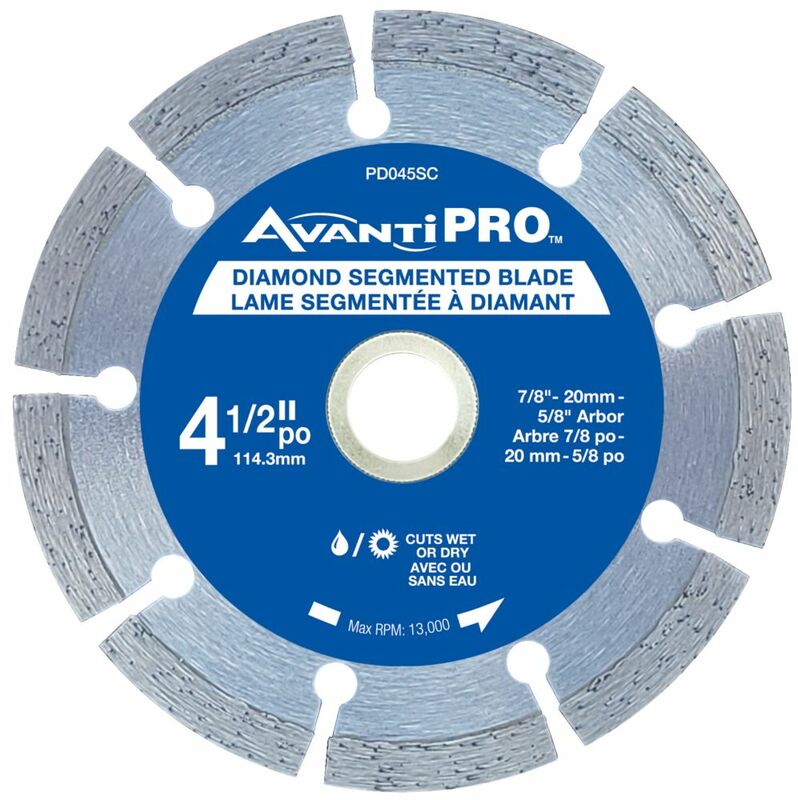 4.5 inch Segmented Diamond Blade Avanti PRO Diamond Blades are the perfect choice for DIY users that need a blade that is made to last. The segmented diamond blade is great for fast and aggressive cutting of concrete, brick, block, stone, and stucco. For use with angle grinders. 4.5 inch Segmented Diamond Blade is rated 4.4 out of 5 by 112.